The occupation of Afghanistan costs US taxpayers $10bn a month, and millions in corruption. Yet Congress is oblivious. 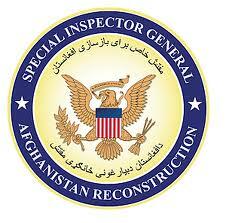 This month, hidden amid election excitement, a report was delivered to Congress by the Special Inspector General for Afghanistan Reconstruction (Sigar). Likely, few in Washington read it. The US war in Afghanistan wasn’t a big part of pre-election politicking and now, post-election, the biggest thing on congressional members’ minds is “fiscal cliff” finagling, not foreign policy. What Congress doesn’t realize, however, is that the special inspector general’s report is entirely relevant and completely germane to the cost-cutting conversation. The latest report, which is required by Congress on a quarterly basis, shows some astonishing financials that remain under-reported by the US press and under-emphasized by Congress. While Americans have long pointed fingers at the waste, fraud and abuse by Afghan leaders, who are mishandling precious US taxpayer dollars in this debt-funded war, the truth is, the misdeeds are equally ubiquitous within the US defense department. This is not merely an Afghan problem, but an American one, as well. Late this September, for example, a US army staff sergeant was charged with smuggling $1m in cash from Afghanistan to the United States. This Pentagon employee attempted to smuggle the cash inside numerous DVD recorders, which were loaded for shipment to the US. The same month, another US army sergeant pled guilty to smuggling $100,000 from Afghanistan. This sergeant smuggled the money to America in a backpack at the end of her overseas tour. Also in September, a former US army chief was convicted of conspiracy for his role in a bribery/kickback scheme, after soliciting a $60,000 bribe. I could go on. The stories are pervasive: from a US army sergeant first class stealing $225,000 in funds earmarked for reconstruction, to a US army 7th special forces group sergeant stealing tens of thousands of dollars hidden inside a teddy bear. These are just a few stories from this fall’s quarterly report by Sigar. The convictions are constant, the charges are countless, and the monies lost are by now in the billions. But don’t take my word for it, read the Sigar report (pdf). We cannot forget, amid fiscal cliff fecklessness, that as taxpayers of this debt-funded fight, we are sending nearly $10bn every month to Afghanistan for the war (aka deconstruction) and post-war reconstruction efforts. Last year alone, American taxpayers accumulated well over $113.9bn-worth of debt so that this war could continue. At the end of 2012, we’ll see a similar tally for total debt-funded war expenditures. And we aren’t leaving anytime soon. Despite claims that this war will be wound down in 2014, and despite recent drawdowns of 30,000 troops sent over for the surge, we must remember that not only will 30,000 troops likely stay on well past 2014, but that we are also paying for roughly 100,000 private defense contractors to operate, without transparency or accountability, in Afghanistan. The long-term presence of private defense contractors in Afghanistan will be at the whim of the Pentagon – as it’s not subject to the critical public eye in the same way US troops are discussed or drawn down. These costs are merely the most explicit and direct costs to be incurred by the American taxpayer, again through debt, since we don’t have the money to actually fight this war. The other, less obvious costs have to do with sustaining the Afghan national security forces (ANSF), which the Pentagon ramped up to 350,000-strong, as well as the 30,000 members of “militias” that we’ve sponsored and armed, with munitions and monies. Militia isn’t my word, mind you, it was described to me this way by Sigar. The Pentagon tries to present these militias as an Afghan Local Police, but they are little more than local warlords, deemed fit by local commanders to receive millions of defense dollars and weapons in a wholly ad hoc and unstrategic fight. None of these Afghan forces will take lightly to our leaving, or to any reduction in force numbers or funds. The plan for the ANSF is to draw down from 350,000 to 228,000. This sounds like Iraq. We already know what happens when formerly armed and trained national security forces suddenly face unemployment: they join militias and end up fighting each other or us. These future attacks – and they will assuredly happen and continue – will also cost US blood and treasure, as will the hundreds of billions of dollars that have not yet been allocated for the millions of veterans returning from Afghanistan and Iraq who will need critical medical and mental health services. All of these costs must be considered as Congress establishes cuts for the beginning of the 113th Congress. Many, if not most of these war-related costs, are outside the normal budget purview, yet they contribute mightily to our growing debt problem. Lest another Sigar report goes by under-reported, it would behoove the Republican leadership in the House to show some savvy in rooting out corruption, fraud, waste and abuse by US actors in the war effort. If the Darrell Issas of the Republican party would be as exercised about grossly mismanaged Afghan war expenditures as they are about far minor issues, we might see a more accountable US presence in Afghanistan. Until then, it appears the profitable plundering will continue. What a shame.